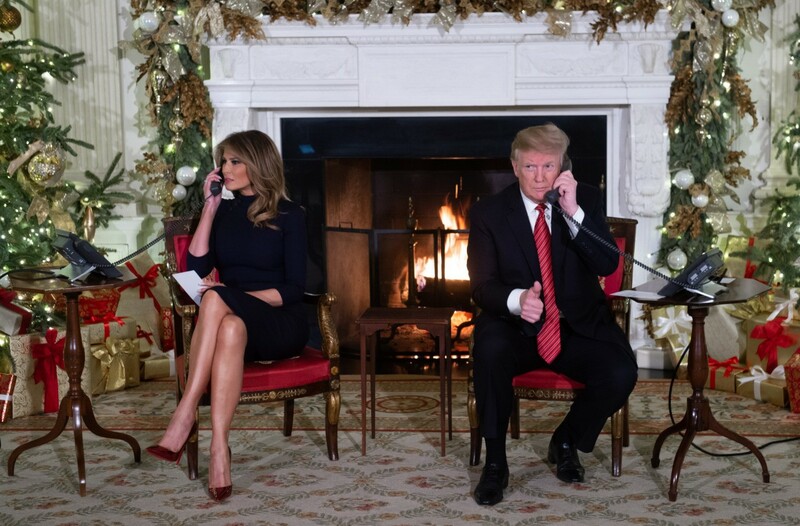 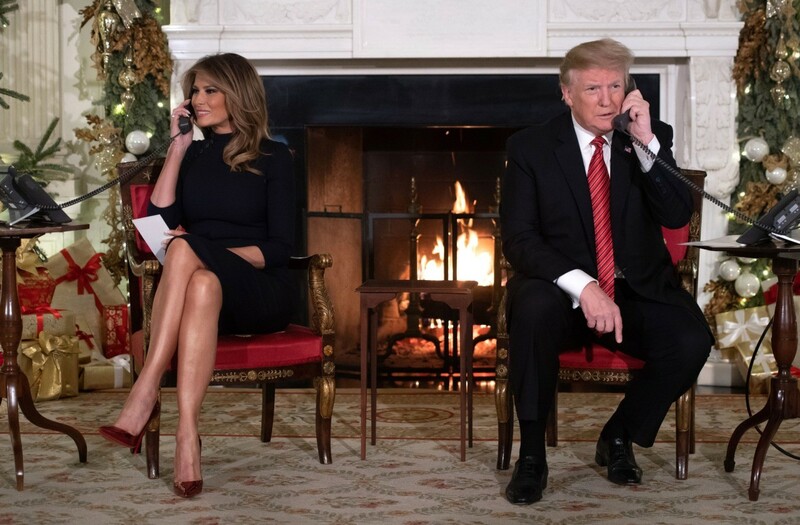 For the annual tracking of Santa Claus, Mrs. Trump wore a Ralph Lauren turtleneck wool-silk midi dress with asymmetrical button details. 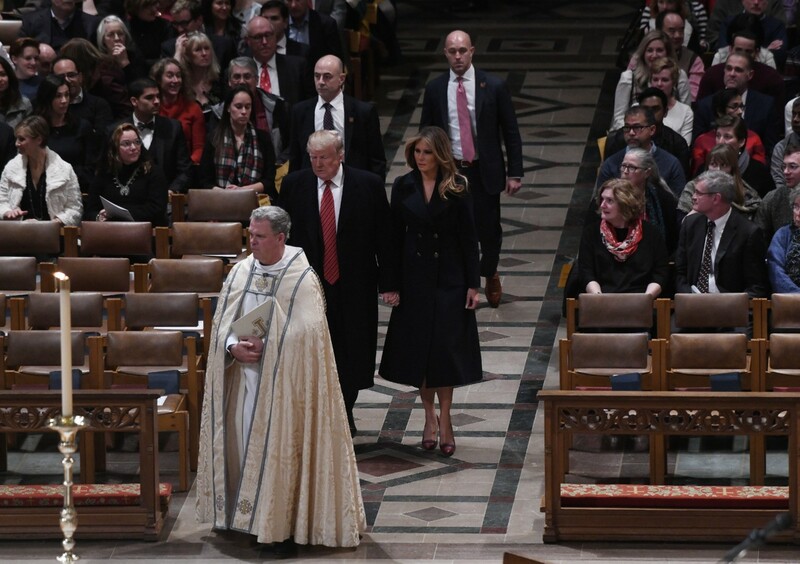 The dress retails for about $1,120. 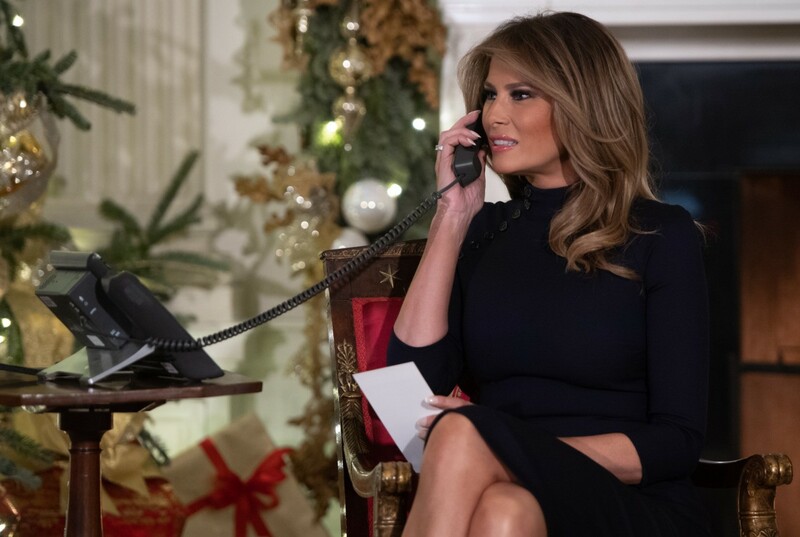 Melania Trump paired the turtleneck dress with red Christian Louboutin stilettos and a shade of pink lipstick to accompany her signature smokey eye. 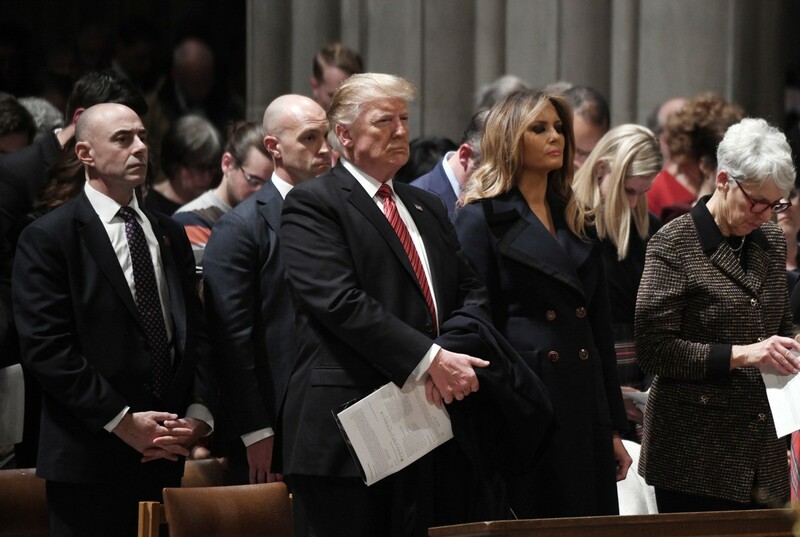 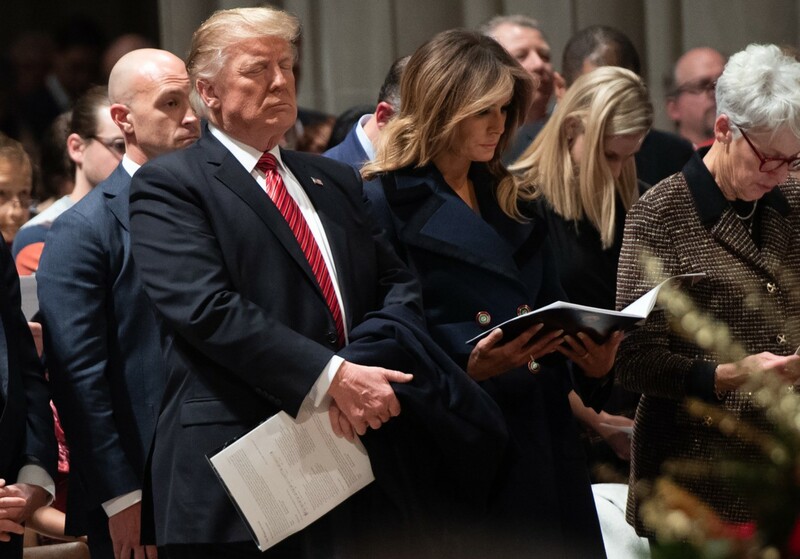 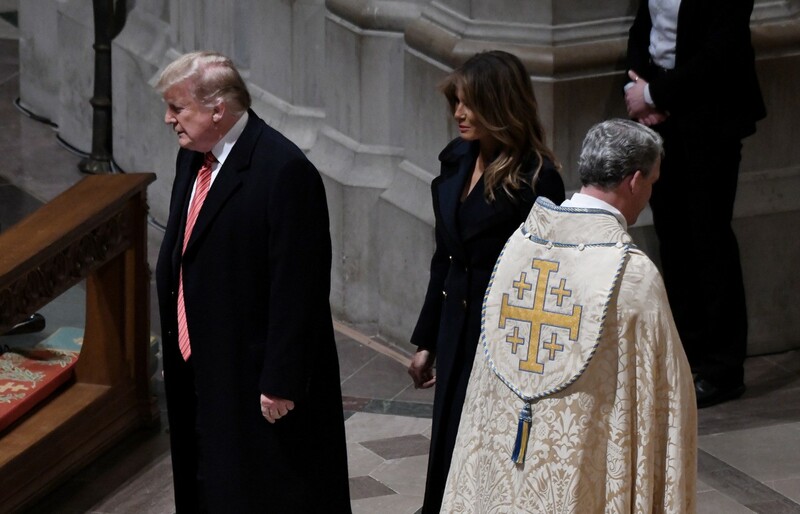 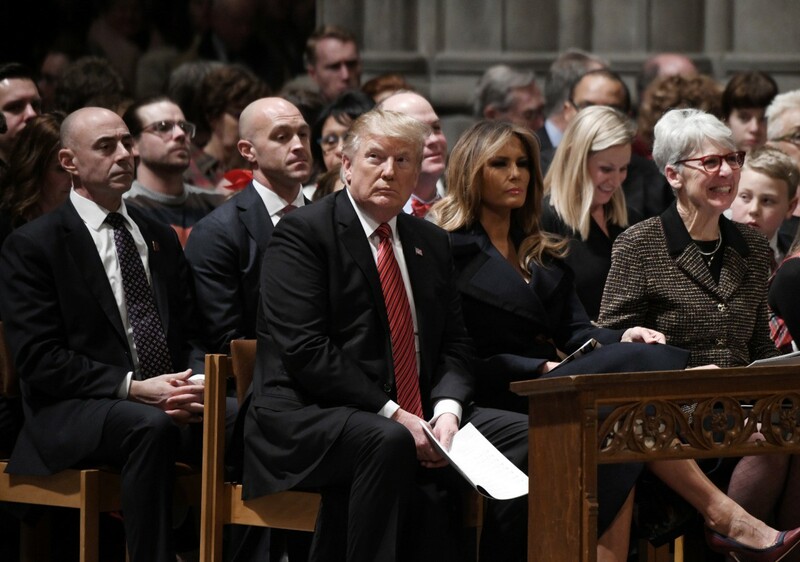 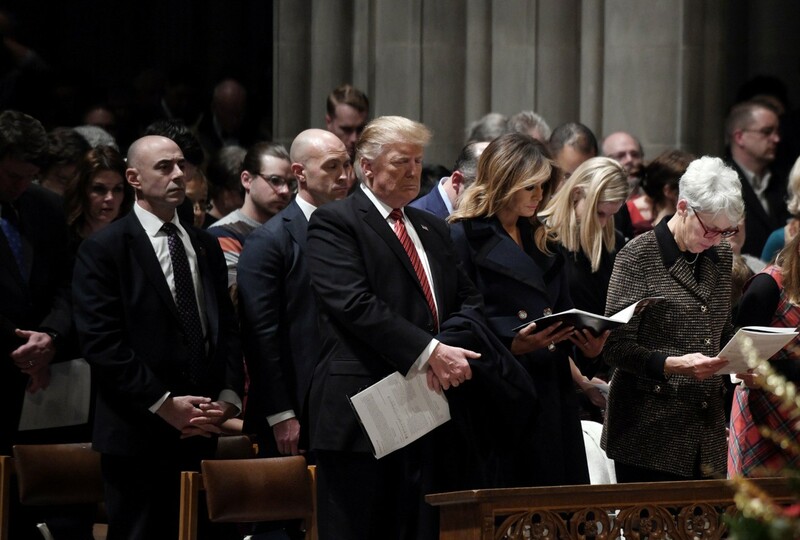 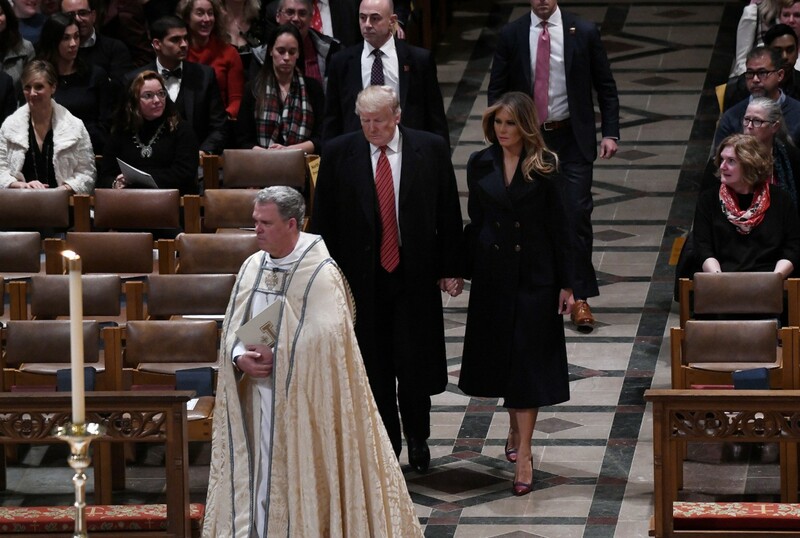 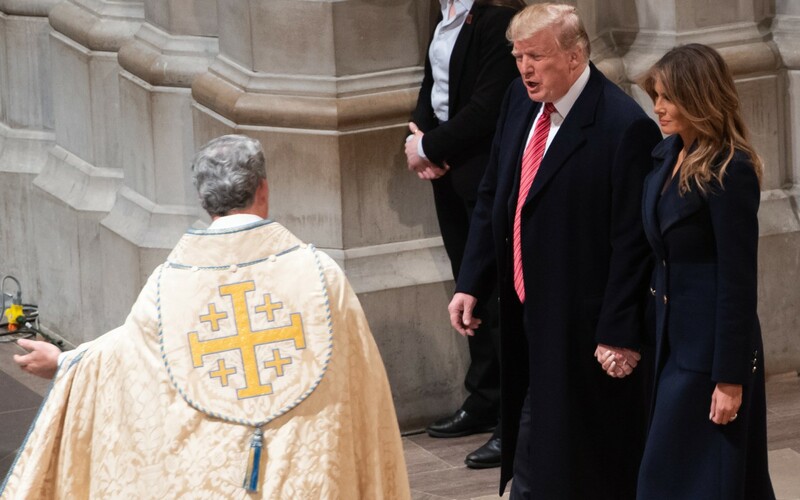 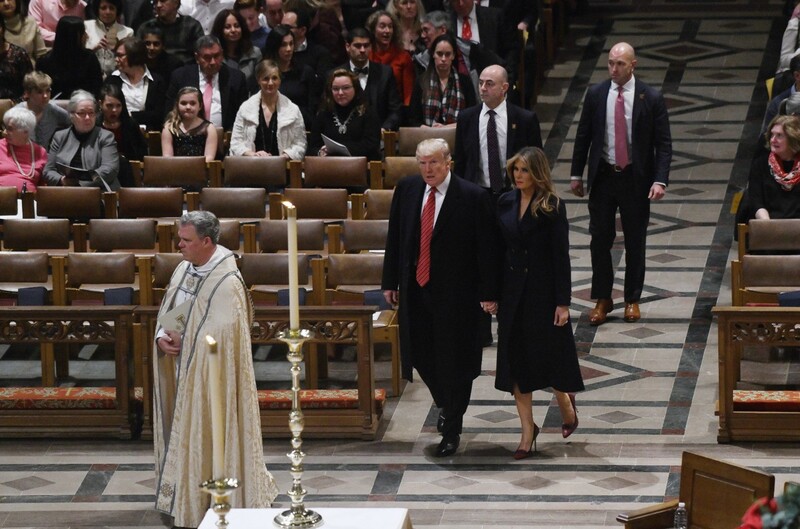 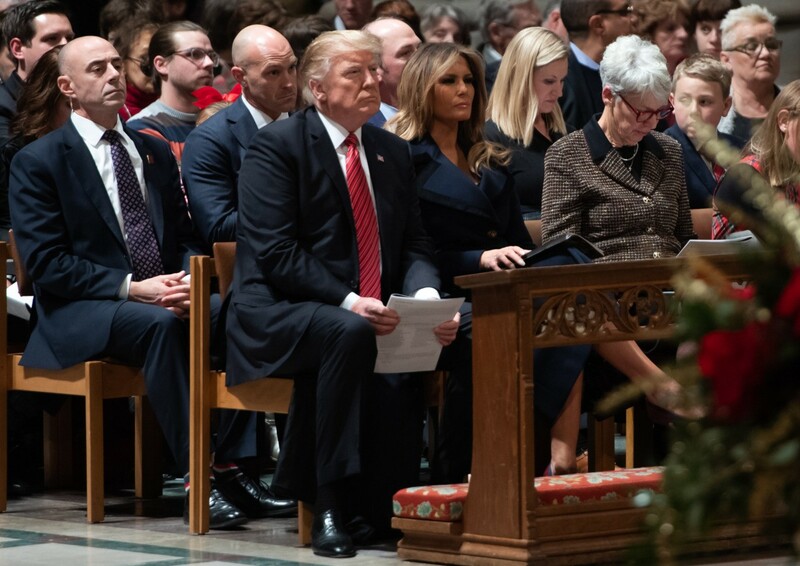 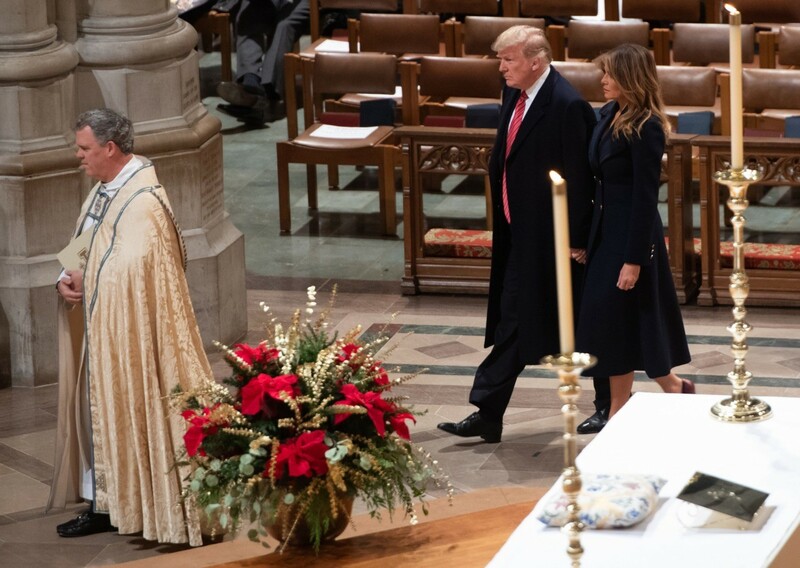 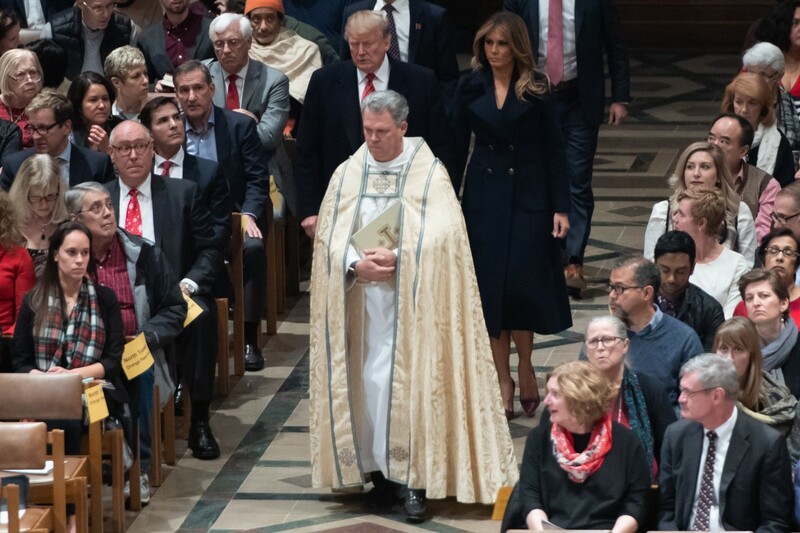 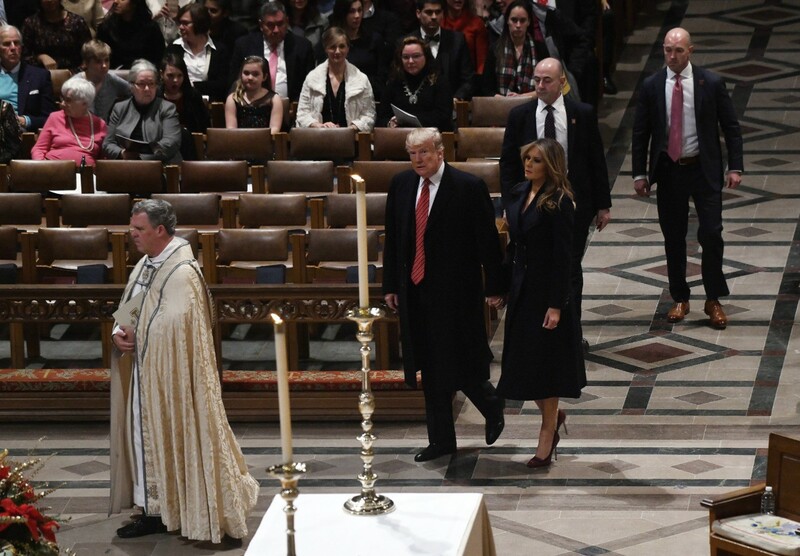 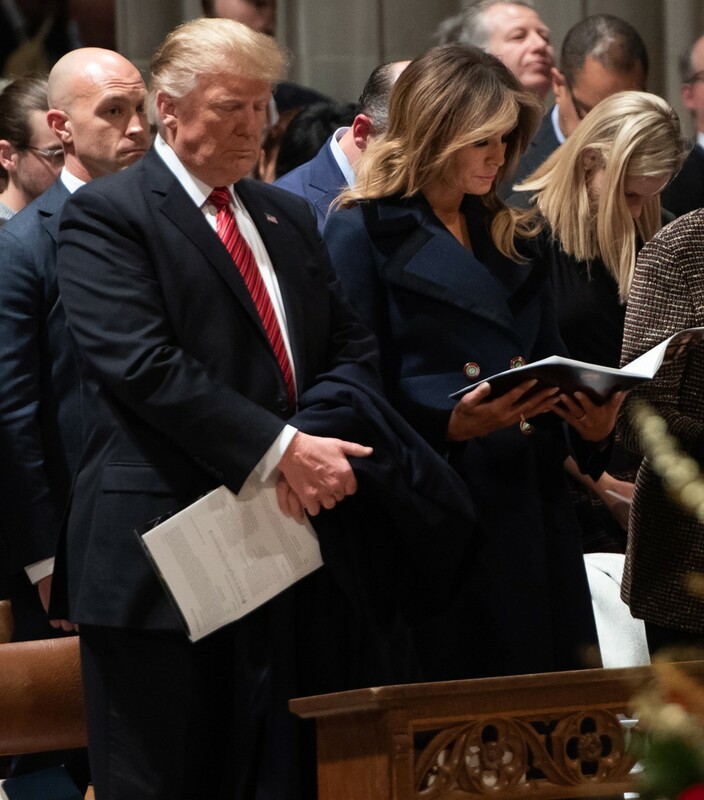 To attend midnight mass, Mrs. Trump wore a navy double-breasted Gucci coat that features a black trim on the lapel and ornamental buttons. 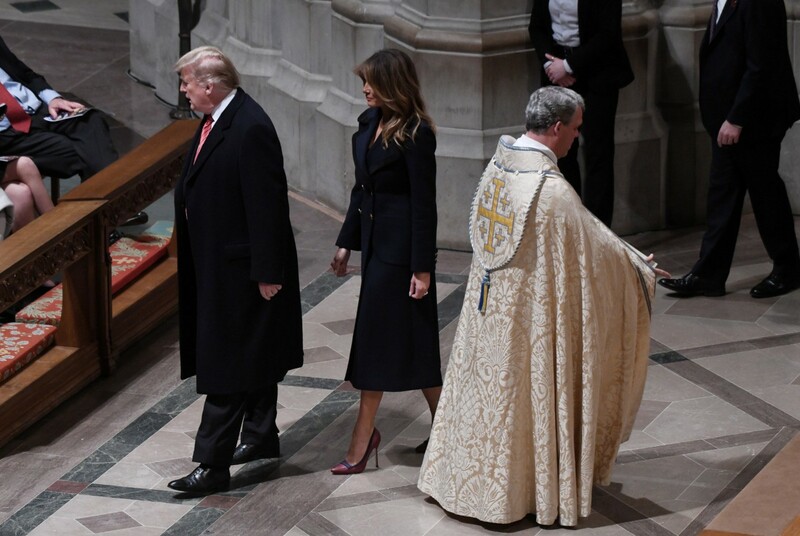 The Slovenian-born former model is a fan of Gucci’s feminine coats, previously wearing a white and blue mod coat by the Italian luxury brand in September. 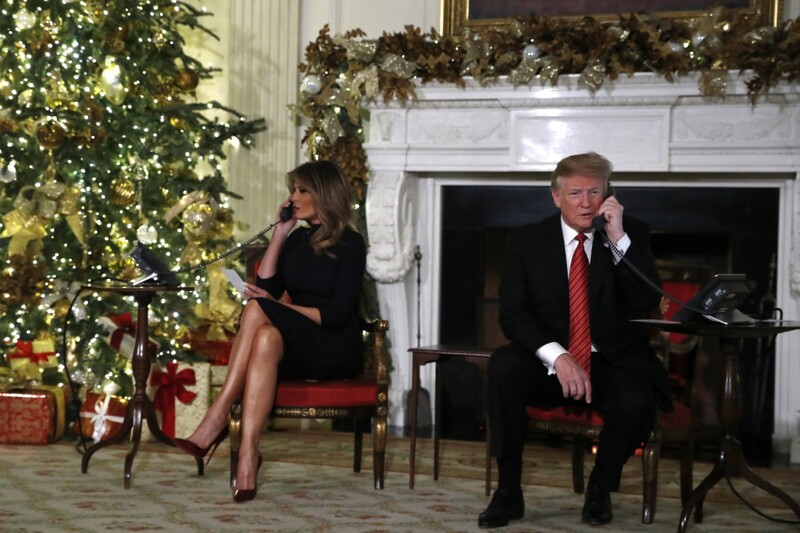 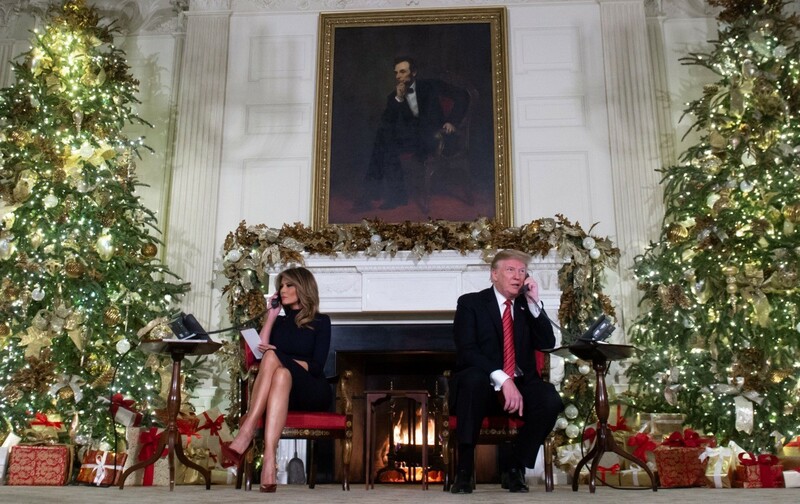 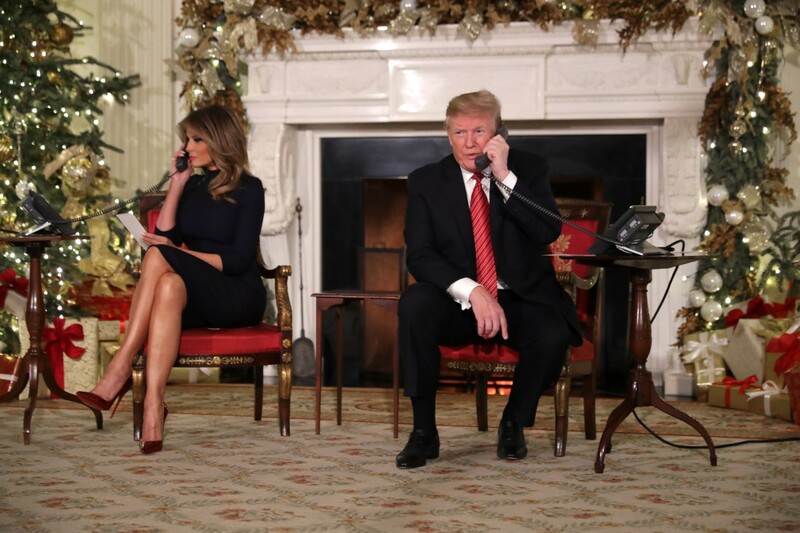 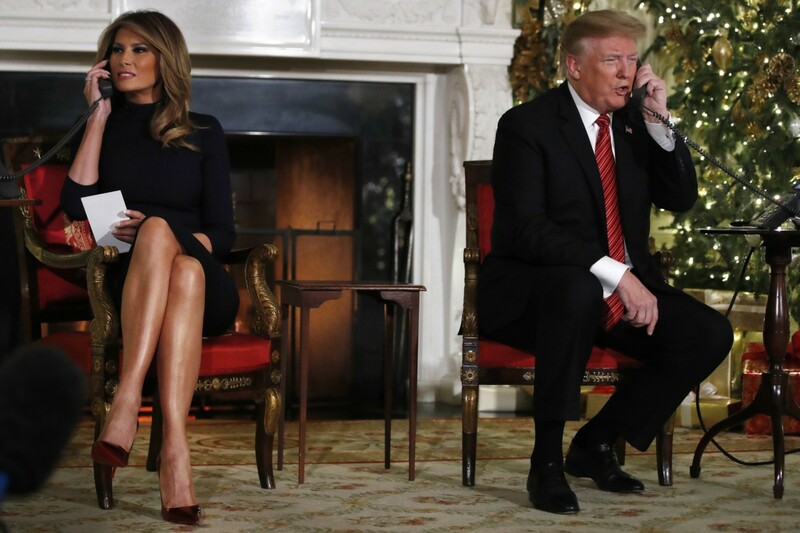 On her feet, Mrs. Trump wore a ladylike pair of burgundy Manolo Blahnik stilettos with a subtle navy blue ribbon trim that falls to a small bow. 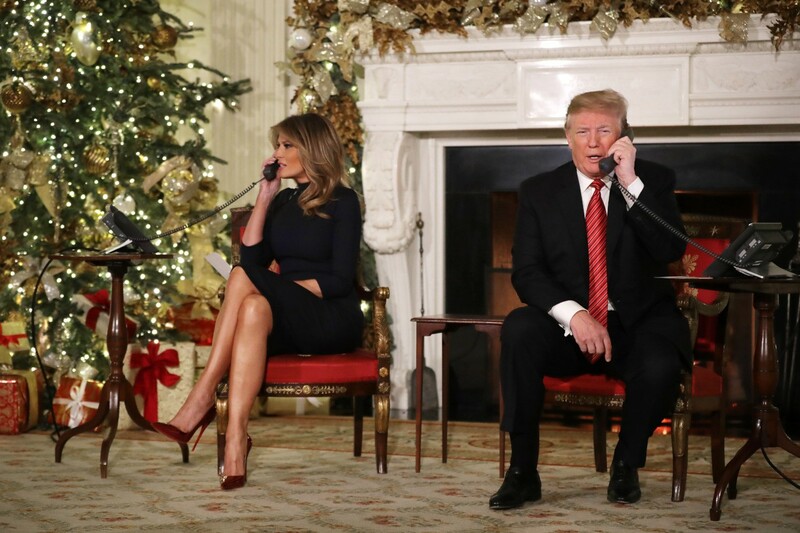 A Christmas fashion must have!